Tired of wasting leftover avocados? With the Joie Clear Avocado Keeper, you can store leftover avocado halves and wedges so that they will stay fresh, firm and odor free. Plus with its smart look, you'll be organizing your fridge in style. Simply place the avocado, cut side down, on the plastic base, and then place the plastic cover over it. 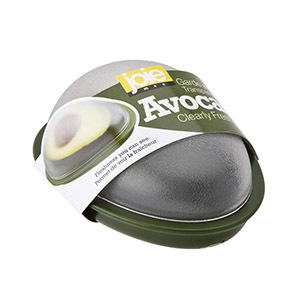 Cleverly shaped like an avocado, this storage pod also will eliminate the use of plastic wrap or sandwich bags.